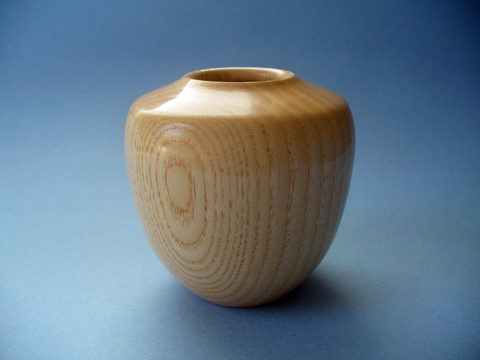 Here’s a small, enclosed vase that I turned from a piece of Ash. 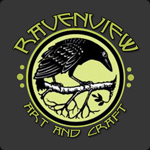 It is approximately 3 1/2″ tall and 3 1/2″ in diameter at its widest. 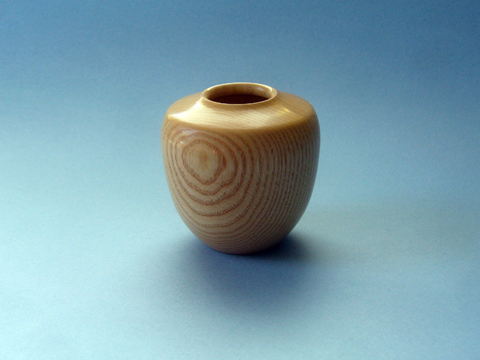 The base is 1 1/2″ in diameter. 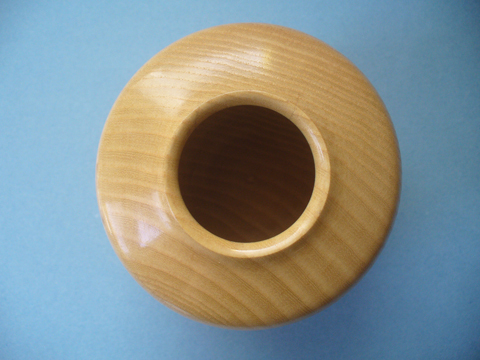 The vase is finished with a couple of coats of polymerized Tung oil and then buffed with the Beall Buff System. 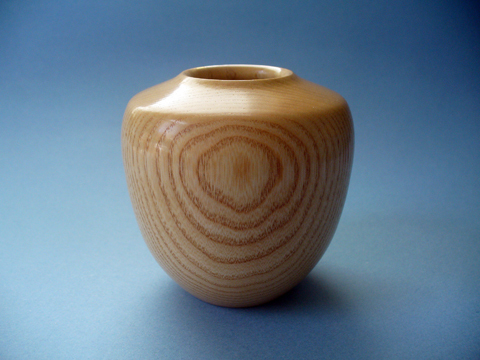 Like the slightly larger vase that I did a few months ago the grain is accentuated a bit by the Tripoli powder of the first stage of the buffing process, giving it a light pink color when in the right light. I am quite pleased with the thickness of the walls on this one. I was able to maintain an even and thinner thickness (about 3/16″) throughout the side and top.